BRYAN EATON/Staff photo. 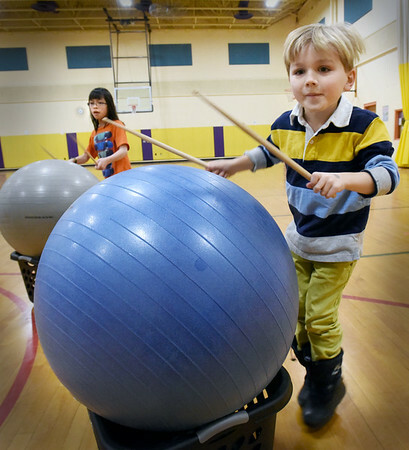 Grace Jezowski, 10, left, and Henry Maneikis, 5, hop while using drumsticks to bang giant balls at Newbury Elementary School. They were in one of the Explorations programs "cardio drumming" led by Maggie Schack which mixes music with excercise for a healthy heart.